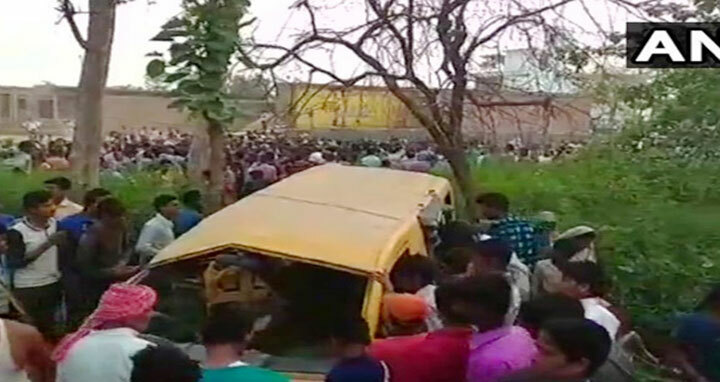 Uttar Pradesh, 26 April, Abnews: Thirteen children were killed on Thursday when a school van collided with a train at an unmanned railway crossing in the northern Indian state of Uttar Pradesh, a police official said. The accident took place early in the morning when the children were on their way to school. The van collided with the Siwan-Gorakhpur passenger train, but the cause of the accident is not yet known, the police official said.